We don’t seem to realize how many personal possessions we’ve accumulated over the years until they’ve built up. All of a sudden, you no longer have space for them, but you really shouldn’t have to get rid of them just because there isn’t room anymore. You can enjoy having more room with our safe and secure storage facility in Caldwell, ID. Our units are ideal for individuals with various needs. You might be between moves or a business owner who may need to store excess inventory or supplies. There is a wide variety of reasons you might need short or long-term storage space. That’s where Save Most Self Storage comes in! Our commitment is to your satisfaction. To protect your prized possessions, we perform regular pest control services. Each unit at our monitored storage facility features a security alarm for your peace of mind. Sometimes people need storage when they are returning home from college. After you have been away for a few years, it’s surprising to see what you have accumulated during that period. Once college is over, it’s common that you move back home during that transitional time. The drawback to that is your parents might not have room for all of the things you now have. A self-storage unit can solve this problem by giving you space and giving your parents peace of mind. Once life settles down, you can remove them from storage and begin the next part of your journey through life. You’ll find flexibility for units to fit almost any of your needs. Our available sizes begin with a 3 X 3 and go all the way up to and including an 11 X 18. Additionally, we have an extra-wide driveway that can accommodate moving trucks and larger commercial vehicles. 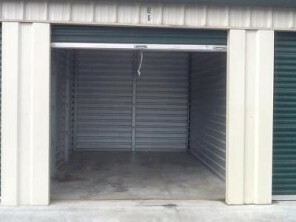 We also provide indoor and outdoor storage units to suit all of your needs. Each unit is equipped with alarms and personal codes for your peace of mind. With our affordable, monthly contracts, you can reserve space for the length of time that’s right for you. We never ask for a deposit, and we accept all forms of payment, including a convenient auto-pay option. Learn more about what we have to offer by reaching out to our experienced staff to answer any questions for you. Contact our self-storage facility today about finding the right sized unit to fit your current needs. We proudly serve Caldwell, ID, and the surrounding area.